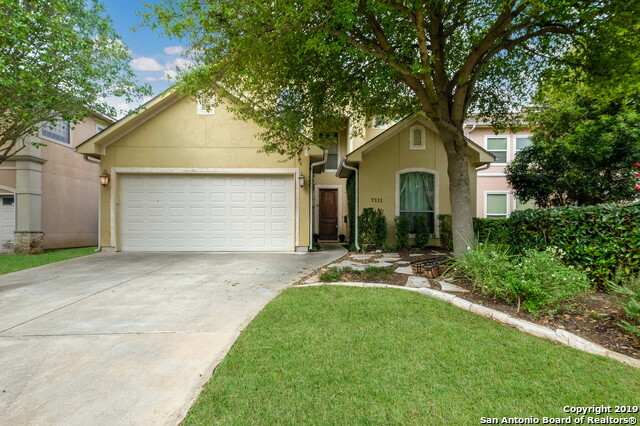 All NORTHWOOD NORTHEAST homes currently listed for sale in San Antonio as of 04/22/2019 are shown below. You can change the search criteria at any time by pressing the 'Change Search' button below. "Spectacular 4Brd/3Bath Two-Story Mediterranean Style Home welcomes you in w/high ceilings & gorgeous staircase. Spacious open floor plan features two eating areas, secondary bedroom downstairs, & loft perfect for a growing family! Island kitchen features granite countertops, walk-in pantry, & breakfast nook that opens to living room w/gorgeous rock fireplace. Large master suite features serene bath w/garden tub & walk-in shower. Amazing backyard features covered patio with fan and extended rock "
"This San Antonio two-story offers an in-ground pool, stainless steel kitchen appliances, and a two-car garage. Upgraded features include a new roof. Home comes with a 30-day buyback guarantee. Terms and conditions apply."